I spent the better part of the day dreaming of a tubeless wheel setup and how to convert my bike into a 1×10 drivetrain. I hate to say it, but I got bit by the mountain biking bug hard this time. I just want to ride but mother nature is again not playing along, more rain for the next few day makes me unhappy. I will just have to cruise the Passion forums over at http://forums.mtbr.com/ for my fix the next few days. 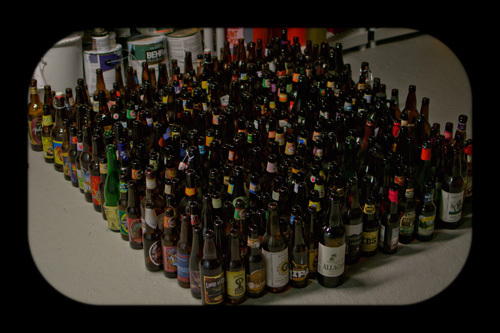 Time for a beer. 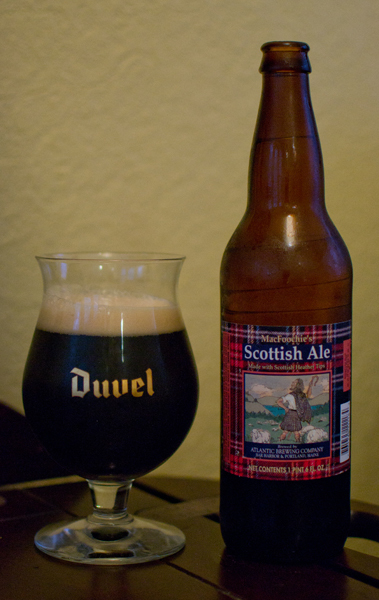 Beer #297 is MacFoochie’s Scottish Ale by Atlantic Brewing Company from Bar Harbor, Maine. This is a new style for me, a Scottish Ale. The ABV is 7.8%. This poured a very dark brown with a nice tan head. The nose was faint, sweet caramel malts, bread, nuts, and a roasted goodness. It tasted liked it smelled with the caramel malts mixed with a roasted, almost burnt flavor. Add a bit of sweetness and dark fruit goodness of raisins and you have a fairly decent tasting brew. The Body was much lighter than I expected, it was more towards the light side than the medium side. 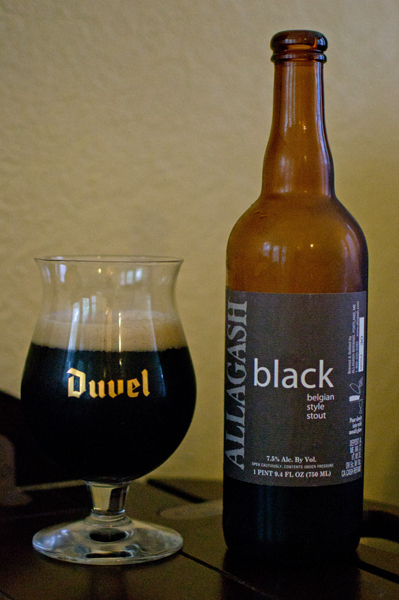 The carbonation was very low and that made this nice and smooth and creamy. 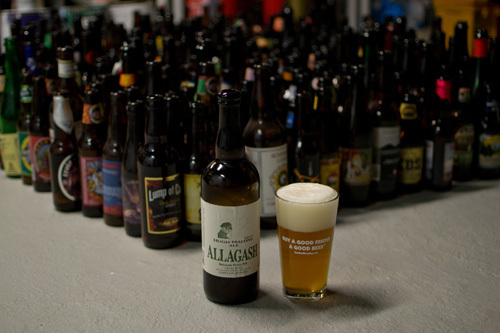 This was OK…nothing special…I guess you could say a fairly average beer. Not that that is a bad thing, it just didn’t “wow” me. My mind is preoccupied anyways by fast flowy singletrack anyways. Wonder if I can get a quickie in? Ride that is. That still doesn’t sound right. I took a break from putting things back down in the basement after bringing just about everything up last weekend to protect it from the rising waters we had. 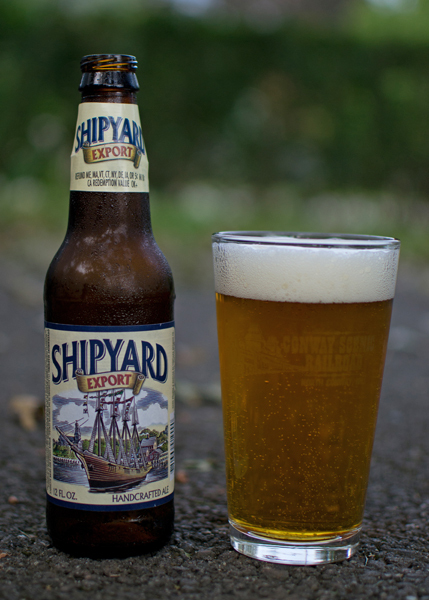 Beer #279, which is the last beer in my beer of the month birthday gift, is Shipyard Export by Shipyard Brewing Company from Portland, Maine. The ABV of this American Blonde Ale is 5%. 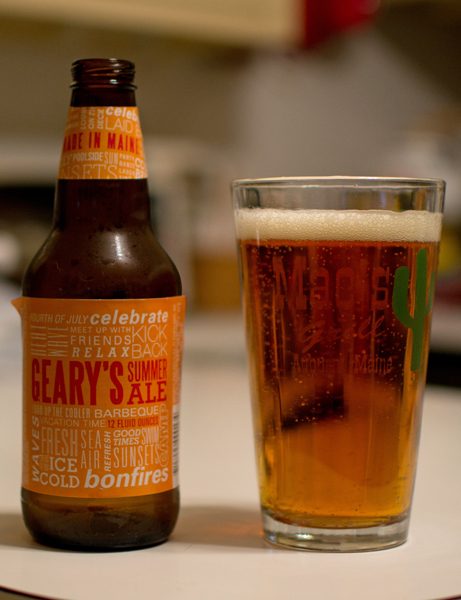 I was this digging this and I thought it was the best of the four beers in the beer of the month set. Now I have to get back to work…it is amazing how much stuff one collects and stores in a typical basement over 14+ years. Yeah boy…I got a generator today. Now I will laugh at those pesky hurricanes and tropical storms for as long as I have gas…I have electricity. It will be totally cool to be getting my LOTRO fix on when everyone else is without power. 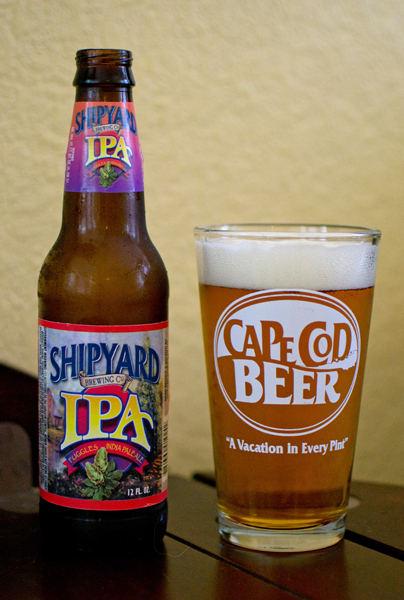 Beer #278 is IPA by Shipyard Brewing Company from the great state of Maine, brewed in the city Portland. 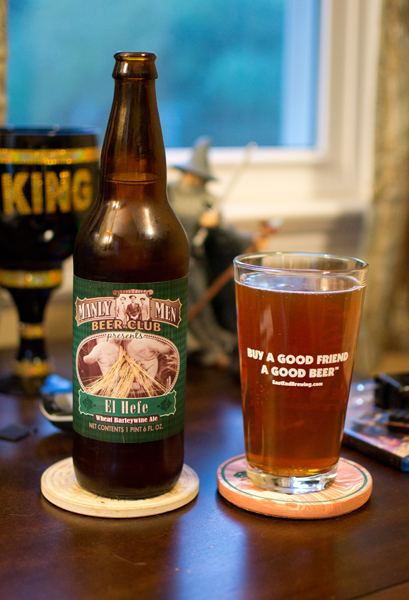 This English IPA has an ABV of 5.8%. It mentions on the bottle it is brewed with fuggles hops. The fuggle hop orgianted in England in 1875. These are also grown on the west coast in the states of Washington and Oregon. It poured a really nice color, a clear amber with a very nice sized white head that stuck around and produced some nice lacing on the glass. It had a very earthy nose with what I though was an aroma of vegetables…odd. There was a slight bread smell form the malts also. It tasted a bit sweet from the malts…very bread like in the flavor and finished on the bitter side with a very slight citrus taste. It had a medium body, was well carbonated, and pretty easy to drink.